A regular breast cancer screening is the easiest and best way for a woman to protect herself against breast cancer. The frequency of these screenings depends on the age of the woman and the risk factors that she has. Two factors that put a woman at high risk for breast cancer are a family history of breast cancer and old age. Women who know they are at high risk should talk with their doctors and determine how often they should be screened for breast cancer. Until now, the common recommendation was that all women in their 40’s have a mammogram every two years. And that women over 50 have a mammogram every year. New research questions this conventional wisdom. 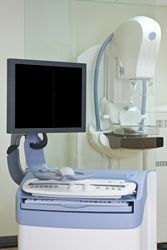 The U.S. Preventive Services Task Force reviewed scientific research and concluded that mammograms harm more women than they help (for women under 50, anyway). The new recommendation: women under 50 should avoid mammograms. Women over 50 should have them every other year. Screenings every year result in too many false positives. There has not been any randomized, placebo-controlled study proving that chemotherapy saves the lives of breast cancer patients. Chemotherapy has only been proven to work effectively against three rare types of cancer, not breast cancer. By the way,for more on breast cancer screening you might want to research the Donna Glove. It will greatly increase the ability of your being able to detect tumors in breast self examinations. If you are looking for more information about how to beat breast cancer, you will find all that you need to know at Cancer Fighting Strategies. This site can help you understand why you developed breast cancer and what you can do about it. CancerFightingStrategies.com is also a great place to find natural products that will help make your cancer treatments even more effective, or help you beat cancer without those toxic treatments or harmful surgeries.